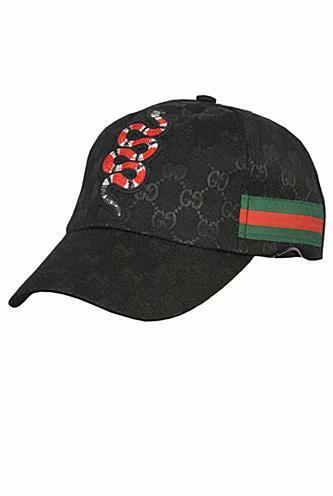 A classic baseball cap shape in GG Supreme canvas featuring the Kingsnake, a symbol thought to represent wisdom and power, which has quickly become one of Alessandro Michele's signature details. Crafted from lightweight cotton-blend twill, this GUCCI Men's Cap will shield you from the sun. Adjust the back strap to find your perfect fit. Each piece of the collection is limited, so take advantage of this unique opportunity to take possession of some of the most coveted collections of designers. This GUCCI Men's Cap is made in Italy of 100% cotton, in black color.